Louis Vuitton wallet in monogram canvas. Flat and large size. A vintage piece from 1982 that comes with dustbag and original box. 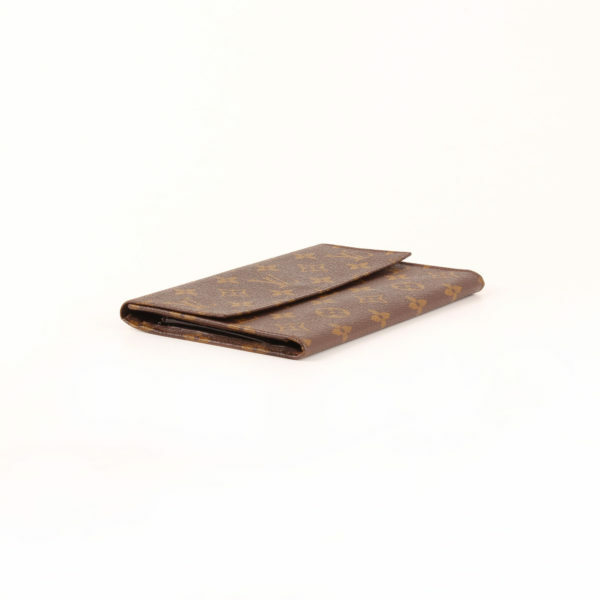 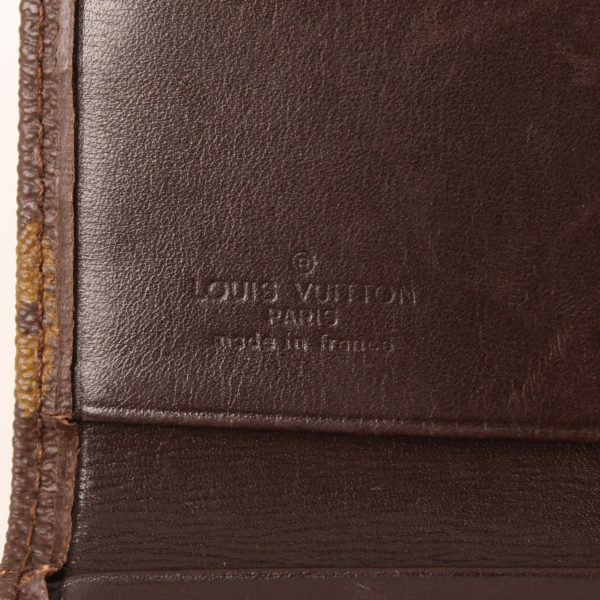 Vintage wallet from 1982 chez Louis Vuitton. 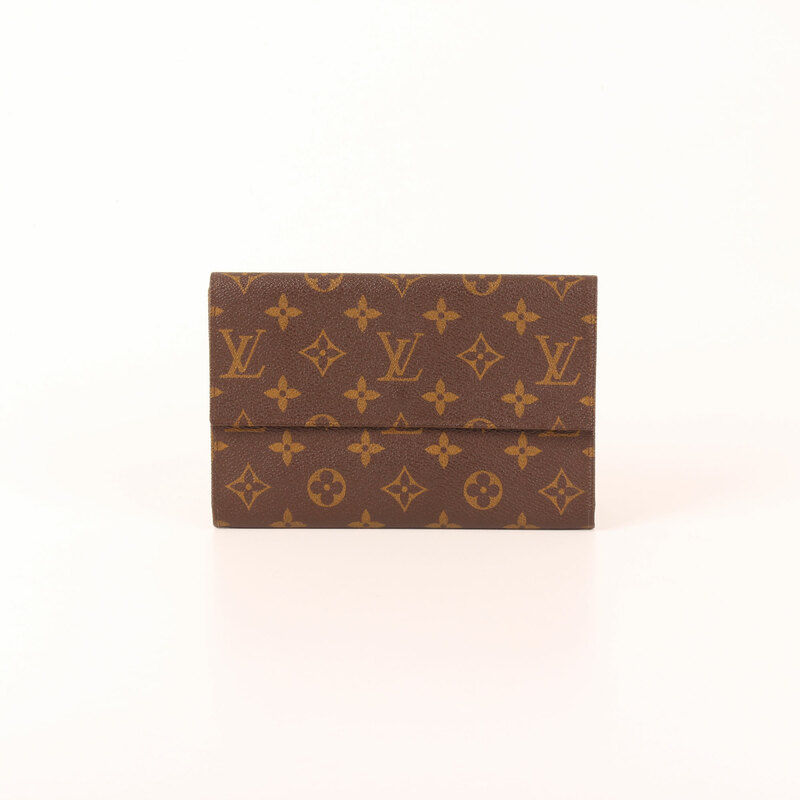 Made of monogram canvas on the outside and dark brown leather on the inside. 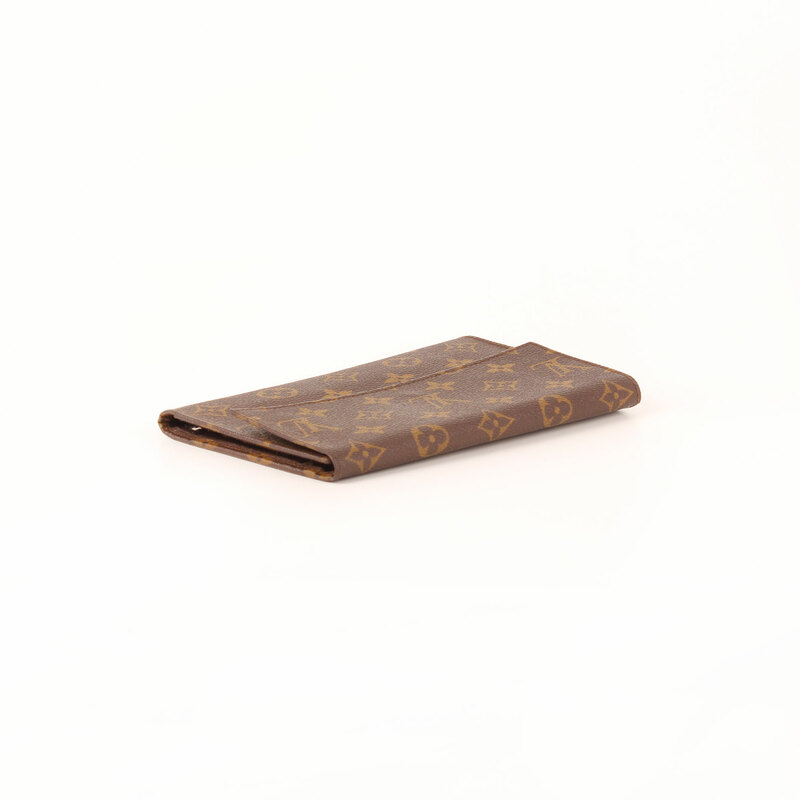 It features flap with push-lock and opens wide in three folds. 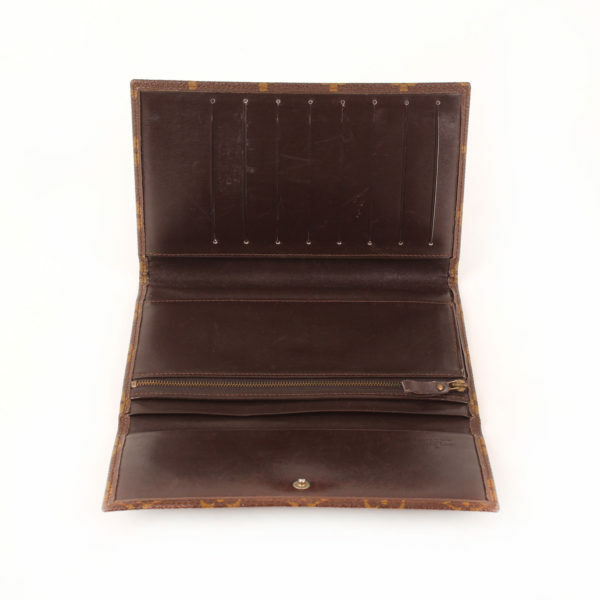 One shows zip purse for coins, other has eight slots for cards and a flat pocket below; last one works as closing flap and features another open flat pocket. 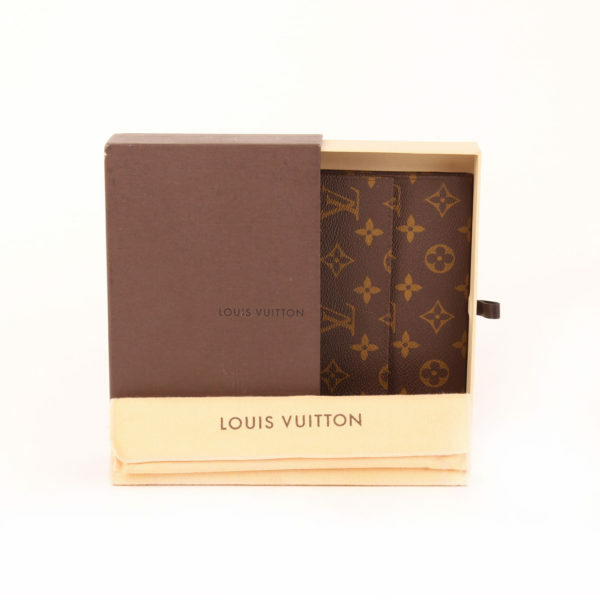 Includes dustbag and box. 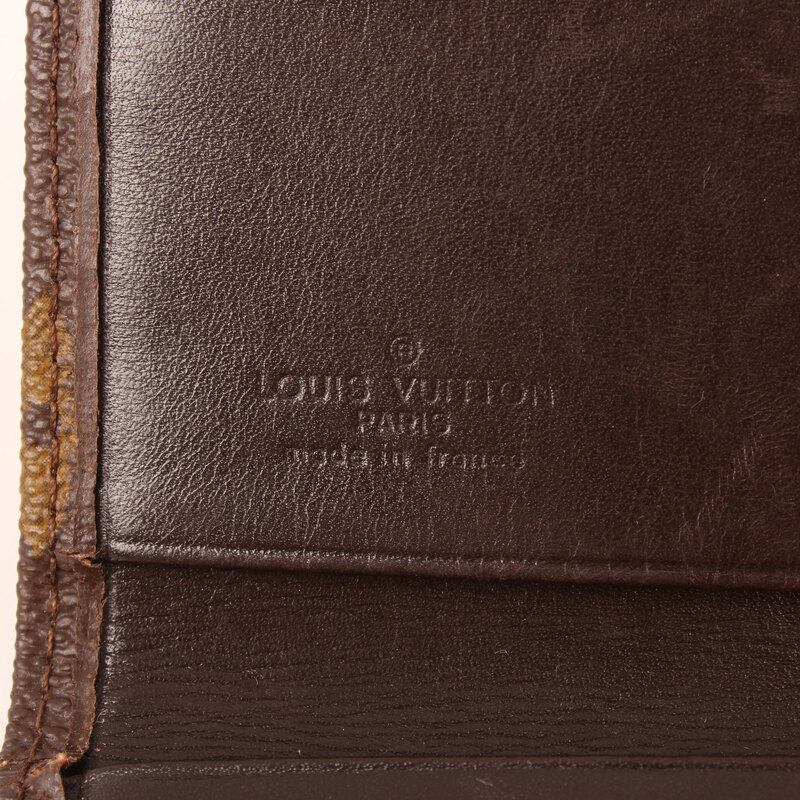 Details: Scratches on inner leather, mainly in the slots part. 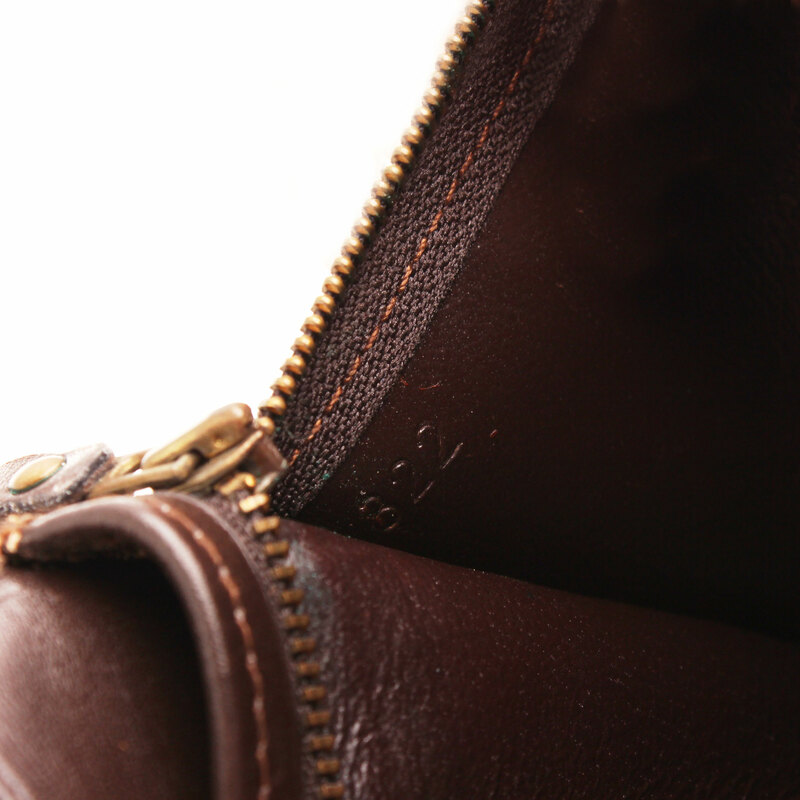 Leather trim shows signs of wear.